What's on Netflix > Netflix News > When will Season 3 of Better Call Saul be on Netflix? When will Season 3 of Better Call Saul be on Netflix? Better Call Saul season 3 has been confirmed by AMC back in March 15th, 2016 just a month after season 2 began airing. With the confirmation of season 3 and season 2 now being available on Netflix in most regions, we’re looking forward to seeing when we’ll be getting the third season of the show available on Netflix. The show is the prologue to Breaking Bad featuring many of the same cast and producers back for a much more toned down series but one that still has all the hallmarks of Breaking Bad. 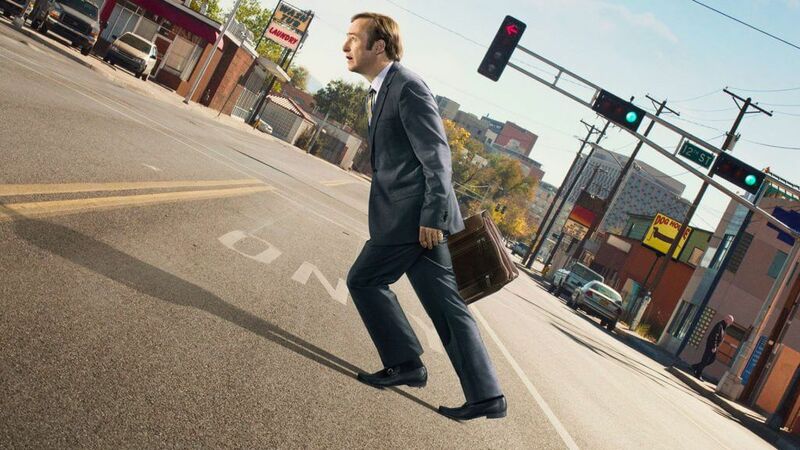 Bob Odenkirk reprises his role as Saul Goodman, a penniless lawyer willing to represent anyone. Mike is also back from Breaking Bad as well as a whole host of other baddies sprinkled between the two seasons so far. Although it certainly isn’t as good as Breaking Bad, it certainly has the production value and a heavier reliance on Saul himself. If lawyer shows aren’t your thing then you may want to reconsider jumping into this show. So with a release date officially available for Better Call Saul season 3, we thought we’d take a look into the future to see when the newest season would be readily available to stream on Netflix. We do a lot of these type of posts predicting the future series but you may notice this one is particularly early. Why’s that? Well it’s because some regions of Netflix has exclusivity on the show meaning new episodes arrive onto Netflix just hours after it’s aired on AMC in the States. This ongoing contract between AMC and Netflix is likely to continue next year meaning you’ll be getting brand new episodes delivered weekly over the course of 10 weeks. This year the season began in the middle of February so February 2017 is a likely bet with April 2017 wrapping up the show. For those who are in the US without season 2 just yet, hang tight as we predict you’ll be getting season 2 of Better Call Saul available in either January and February of 2017 and then season 3 of Better Call Saul will be available for you in January or February of 2018.